This vintage real photo postcard features Hungarian actress Camilla von Hollay (1899-1967). She was born in Budapest. Her father was a factory director and as she entered young adulthood her parents tried to steer her into going to medical school. Instead, Camilla pursued acting. She was active in film during the silent film era. IMDb credits her with sixty-eight film credits between 1916 and 1930. Early in her movie career she appeared in films with Bela Lugosi. Later, he became known in the US for his portrayal of Dracula. Camilla was blonde and attractive. Many of her films in the 1920’s were filmed in Germany. Her first acclaimed role was in “The Lightship” (1922). Camilla is quoted as stating that film “offers me the opportunity to live my life, to walk in many different forms, and to see myself in a hundred mirrors of just as many human figures”. It is believed that Camilla’s acting career disappeared with the advent of sound film. It is likely her Hungarian accent was seen by film companies as unsuitable for significant roles. She was married to a journalist. Nothing is known about her post acting life. This portrait postcard was published by Iris Verlag/Amag. Iris Verlag was a popular Austrian postcard producer. Amag (Albrecht & Meister) was a publisher located in Berlin. The company took over Aristophot in 1909. Amag ceased production in 1920. This photo portrait postcard is in excellent condition (see scans). Have you ever heard of Betty Balfour? You would definitely know who she was if you lived in England during the silent film era because she is considered the most popular actress there during the 1920’s. She was known as the “British Mary Pickford” and “Britain’s Queen of Happiness”. Her fans knew her best for her “Squibs” series of films. Betty Balfour (1903-1977) was also known for her stage career. She made her stage debut in 1913 and worked in theater for several years before entering the film industry. She did not attempt to extend her career to Hollywood but she did star in a number of German films. In Britain she starred in Alfred Hitchcock’s “Champagne” (1928). Her sound era debut was in “The Nipper” (1930), Her popularity began to drop in the 1930’s though she still was getting film roles. In all, she appeared in more than 35 films. Balfour was married to composer Jimmy Campbell but the marriage fell apart in 1941 after a ten year run. She attempted a theater comeback in 1952 but it failed. She died in Weybridge, Surrey, England at the age of seventy-four. This vintage real photo postcard was produced by Picturegoer as part of a series (no. 2a). The company was based in London. Picturegoer was a British fan magazine focussing on contemporary films and the actors and actresses who performed in them. Picturegoer also published postcards. In fact, they produced over 6500 different real photo postcards on 2000 actors and actresses. The second real photo postcard see here is of unknown origin. The publisher is not identified nor is the photographer. Interestingly, just as in the first image, Miss Balfour is wearing pearls. She certainly was quite pretty. The third real photo postcard features Miss Balfour in costume wearing a headpiece with very large feathers. Her v-neck dress is very beautiful. The portrait of Miss Balfour was taken by the Maull and Fox studio. The postcard was published by Cinimagazine and was part of a series (no. 84). Henry Maull (1829-1914) was a British photographer known for his portraits of famous individuals. He became a member of the Royal Photographic Society in 1870. During his career he had several partnerships. One of these partnerships (c1856-1865) was with George Henry Polyblank and the pair were very talented and produced great photographs. Between 1879 and 1885 Maul partnered with John Fox (1832-1907). The partnership with Fox was ended due to bankruptcy. However, the studio’s name was maintained after the bankruptcy by Fox’s son Herbert. Examination of the date of Maull and Fox’s partnership, it is clear that this photograph was produced by a photographer operating after the reign of Maull and Fox. Much of Maull’s work can be seen at the National Portrait Gallery in London, England. 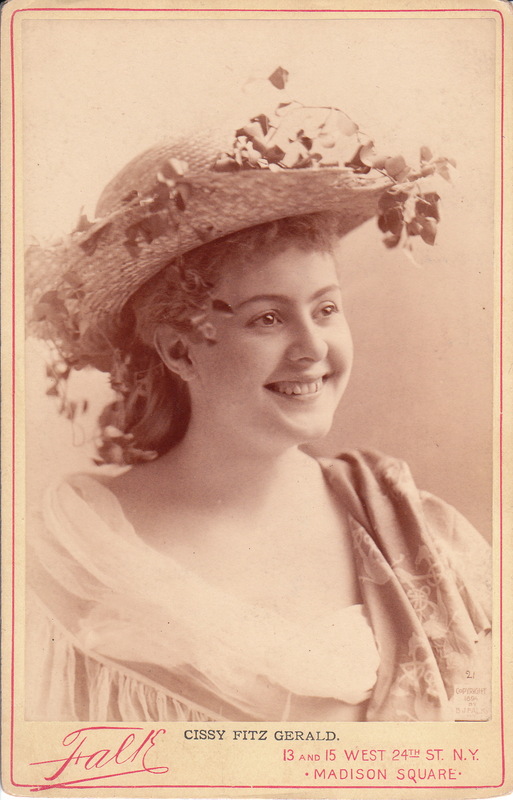 A costumed Vilma Von Mayburg poses for her portrait in the top vintage real photo postcard. The beautiful German stage and silent film actress is known for “Die Erbin des Grafen von Monte Christo (1919)”, Der siebente kub (1918)”, and “Menschen in Ketten (1919)”. Her film career began in 1916. This postcard was published by “EPA” which is the Albert Phototype Establishment. The company was located in Algers, Algeria. The second photo postcard shows a standing Miss Mayburg. She is quite pretty and well dressed. She is adorned with flowers and holding a fan. After I purchased this photograph, I had a nice surprise. I realized that the photograph was taken by one of my favorite photographers, Emilie Bieber. She was quite successful and quite talented. Bieber had two studios in Germany; Berlin and Hamburg. The Hamburg studio operated from 1852 through 1872 when she was joined by her nephew, Leonard Berlin-Bieber, Emilie Bieber died in 1884. .
Can sexual chemistry be photographed? This fantastic vintage real photo postcard provides evidence that the answer is yes. This image captures early film stars George O’Brien and Virginia Valli in an emotionally charged scene in an unknown movie. The pair starred together in at least two silent movies produced by Fox. The films were “Paid to Love” (1927) and “Eastside Westside” (1927). Virginia Valli (1898-1968) was an American stage and film actress. Her early acting experience was with a Milwaukee based stage troupe. Her film career started in the silent film era and ended in the early stages of the talkies (1930’s). She has 65 credits on the IMDB web site. She began her film work with Essanay Studios in her hometown of Chicago in 1916. By the mid 1920’s, she was an established star at Universal Studios. She was the star of King Vidor’s “Wild Oranges” (1924). Most of her films were produced in the mid 1920’s and include Alfred Hitchcock’s first feature movie, “The Pleasure Garden” (1925). Her first sound picture was in 1929. She left the movie business in 1931 due to her high salary command and declining appeal to audiences. She moved to Palm Springs, California with her second husband, actor Charles Farrell. She was very much part of the social scene there. She died in Palm Springs at age seventy. George O’Brien (1899-1985) was an American actor popular during the silent film era as well as the early talkies era of the 1930’s. He is remembered most for his role in Murnau’s 1927 film “Sunrise: A Song of Two Humans”. He had an active film career which is evident by the fact that the IMDB web site gives him 85 credits. O’Brien was born in San Francisco and his father at one time, was the city’s chief of police. During World War I, O’Brien was in the US Navy and served on a submarine chaser. He worked as a stretcher bearer for wounded Marines and was decorated for his bravery. Following the war, O’Brien became the light-heavyweight champion of the Pacific Fleet. After completing is service, O’Brien was in his early twenties and he went to Hollywood to seek work as a cameraman. He did find employment in the field and helped film for Tom Mix and Buck Jones. He then entered acting by playing bit parts and by being a stuntman. His first starring role was in “The Man Who Came Back” (1927) where he played opposite Doroth Mackaill. He then appeared in “Iron Horse” by famed director John Ford in which his counterpart was Madge Bellamy. The film was a great success and the experience forged a colloborative relationship with Ford that resulted in O’Brien appearing in nine more of the directors films. He spent much of the 1920’s as a leading man in action and adventure type roles. During the 20’s he received the nickname “the torso” because of his excellent physique. With the arrival of sound, O’Brien appeared predominately in Westerns during the 1930’s and he was considered a major draw. With the arrival of World War II, O’Brien re-enlisted in the US Navy and served as a beachmaster in the Pacific theater. He was decorated several times and when he was discharged he had attained the rank of commander. He later joined the Naval Reserve where he served as a captain. O’Brien’s last leading role was in a film that included the Three Stooges. According to his obituary, O’Brien was buried at sea courtesy of the US Navy. This real photo postcard was published by Iris Verlag and made in Germany. The postcard is part of a series (no. 5121) and credits Fox Film. ADDENDUM: After viewing this image, a visitor contacted me to claim that the beautiful woman in this photograph is not Virginia Valli, but instead, it is June Collyer (1906-1968). I was unable to locate information or relevant comparison images to definitively confirm that it is Collyer that is in the photograph, but I did find a film publicity photo identical to the postcard image above. The description of that photo indicates that the pictured woman is Collyer. Collyer was born in New York City and as a society girl was chosen by Allan Dwan (Director, Producer, Screen Writer) to her first starring role in “East Side, West Side. She did eleven silent films and made a successful transition to talkies. In 1928 she was he was one of the thirteen girls selected as “WAMPAS BABY STARS”. In 1930 she appeared in “The Three Sisters” and “Sweet Kitty Bellairs”. From 1930 through 1936 she starred in nineteen films. She took a sabbatical from acting in the 1940’s and did television acting during the 1950’s. June was the sister of radio actor/announcer Bud Collyer (1908-1969). He became a major game show star hosting such programs as “Beat the Clock” and “To Tell the Truth”. June Collyer was married to actor Stu Erwin. In conclusion, I am unsure whether the beautiful woman in this image is Miss Valli or Miss Collyer. It is an answerable question if someone is willing to do the requisite research. One thing is for certain is that Gisella Pozzi is a very pretty woman. However, my knowledge about the details of her life is very uncertain. Preliminary research indicates that she was an Italian silent film actress. Some sources report that she was also a theater actress. I have just written everything I know about Gisella Pozzi. More research is needed. What do you think of her dress and hat? I think she looks terrific. I especially like the butterfly on front of her dress. This vintage real photo postcard was made in Italy and produced by Fotocelere. Fotocelere was active between 1915 and 1942 and published postcards across a wide range of genres. The company must have decided it would be attractive to include her faux autograph across her image. I respectfully disagree. B. J. Falk, the celebrity photographer from New York City, produced this cabinet card portrait of Cissy Fitz Gerald (1873-1941). Fitz Gerald was an English American vaudeville and film actress, dancer, and singer. She appeared in both silent and sound films. Her first movie was made in 1896 by Thomas Edison. In 1914 she signed with the Vitagraph company. The IMDb lists a filmography of seventy films spanning from 1914-1932. Her movies included a film series entitled “Cissy”. Her nickname was “girl with the wink”. She is described by the website of the Victoria and Albert Museum (London, England) as one of the original “Gaiety Girls” of the 1890’s. These actresses tended to appear in the choruses of productions. The web based museum exhibit describes the “Gaiety Girls” as “fashionable elegant young ladies and not at all like the corseted actresses from the burlesques”. The exhibit also declares that the “Gaiety Girls” were polite, beautifully dressed and well behaved young women, who were much sought after by the ‘stage door Johnnies’ of the 1890’s”. As apparent in the photograph; Ms Fitz Gerald was quite a beautiful woman and had a beautiful smile. She was, simply put, a radiant woman. This photograph was formerly owned by Culver Service, a company that commercially provided celebrity photos to different modes of media. The photographs reverse has a stamp indicating ownership by the Culver company. To view other photographs by B. J. Falk, click on the category “Photographer: Falk”.